Congress leader Ajay Upadhayay on Wednesday claimed that around two crore people have lost their jobs in the country due to demonetisation and implementation of GST. Addressing a press conference here, All India Congress Committee Spokesperson Ajay Upadhayay charged the BJP-led government that demonetisation and the GST had hit the unorganised sector most. "Due to these two steps by the (Narendra) Modi government, two crore people have lost jobs. BJP's promise to give two crore jobs every year has become a 'jumla' only," he added. 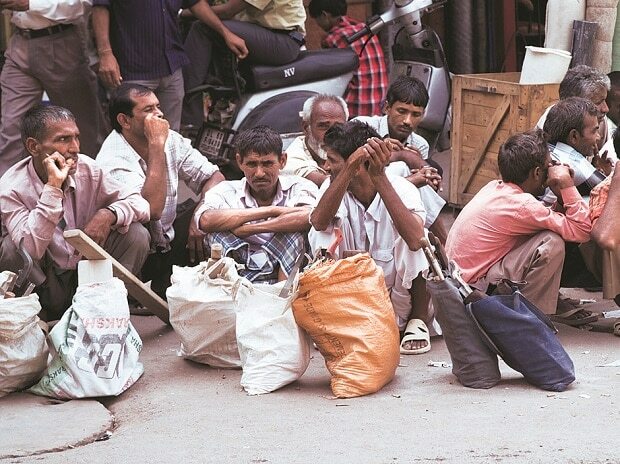 During the 2018 year itself, around 1.1 crore people have lost their employment opportunities, Upadhayay claimed. "According to a recent RTI reply, 24 lakh government posts are lying vacant at present. If the BJP government rally wanted to give jobs to unemployed youths, then they would have recruited people," he said. He also attacked the government for not implementing the Street Vendors Act, 2014, affecting the small traders and daily income earners. "There are 45-46 crore people working in the unorganised sector. This comprise the 93 per cent of the total workforce in India. The Modi government is totally anti-small traders," Upadhayay said. The Congress party's wing -- All India Unorganised Workers Congress -- has called for a nation-wide dharna on January 21 to press for their demands related to the sector, he informed.